This article is about the English group "The Big Three". For the American folk group featuring Cass Elliot, see The Big 3 (folk group). Beat music, British beat, or Merseybeat is a popular music genre that developed in the United Kingdom in the early 1960s. The Big Three evolved from a group called Cass & The Cassanovas, formed in May 1959 by Brian Casser as a trio comprising Casser (rhythm guitar, lead vocals), Adrian Barber (lead guitar, vocals), and Brian J. Hudson (drums). The original line-up played at St George's Hall, Liverpool, on Friday, 15 May 1959. Johnny Hutchinson replaced Hudson in July 1959. In need of a bass guitarist, Hutchinson brought in Johnny Gustafson in December. At that time, Gustafson did not have a proper bass guitar, so Barber converted an acoustic for him. Gustafson's first gig was at The Tower Ballroom, New Brighton, on Thursday, 31 December 1959. Brian Casser is a British singer and guitarist. 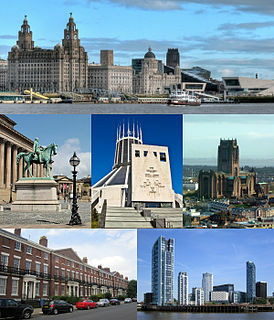 He led the first notable beat group in Liverpool, Cass & the Cassanovas, who were early rivals of The Beatles in the city. He later led another group, Casey Jones & the Engineers, which was one of Eric Clapton's first bands, and then, as leader of Casey Jones & the Governors, became successful in Germany in the mid-1960s. Adrian Barber is a musician / producer who is most noted for recording the Beatles Live! at the Star-Club in Hamburg, Germany; 1962 and producing the Allman Brothers Band's self-titled debut album along with the Velvet Underground's album Loaded. Laurence Maurice Parnes was an English pop manager and impresario. He was the first major British rock manager, and his stable of singers included many of the most successful British rock singers of the late 1950s and early 1960s. Thomas Henry Moore was an English drummer who played with The Silver Beetles – who later became The Beatles – from May to June 1960. Brian Epstein signed them to his agency  and sent them over to Hamburg. It was during that trip in August 1962 that Brian Griffiths (born 27 August 1943, Liverpool) joined the group when Barber left, and the best-known line-up of the Big Three was established. Barber would subsequently emigrate to the United States, where he would later become known as an in-house recording engineer and producer at Atlantic Records, where he produced the Allman Brothers Band's debut album in 1969. 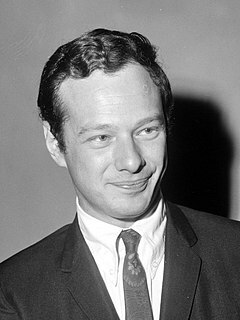 Brian Samuel Epstein was an English music entrepreneur who managed the Beatles. "Some Other Guy" is a rhythm and blues song, written by Jerry Leiber, Mike Stoller and Richie Barrett. First released as a single in 1962 by Barrett himself, it featured an electric piano, then an unusual sound in pop music. Covered shortly afterwards by Liverpool's the Big Three, the song was a standard in the Merseybeat scene. Chambers left in March 1964 and was replaced by Paul Pilnick from the All Stars. Pilnick only stayed a short time before moving on to Tony Jackson & The Vibrations in October 1964, with Ruffley leaving around the same time. The next agency to manage the band was Kennedy Street Enterprises. Between 1964 and 1966 the line-up consisted of John Hutchinson, Ray Marshall (vocals, bass) and Barry Womersley (lead guitar). 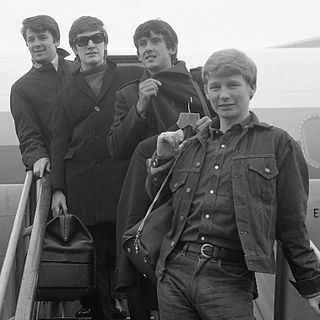 During 1966 the band folded. Hutchinson received an offer to join Kingsize Taylor & the Dominoes but he declined, instead deciding to retire from music. There is an apocryphal story in Alan Clayson's book "Beat Merchants" that Johnny Hutch packed up his drums after a first set at the Blue Angel, collected his pay and went home, with another drummer taking his place. Presumably this was the band's last gig. In 1973, Gustafson and Griffiths teamed up with Elton John drummer Nigel Olsson, and Quatermass keyboardist J. Peter Robinson for a reunion album, Resurrection, released on Polydor Records. In 1999 Griffiths got together with another former Big Three member, Faron Ruffley, to do a small spot of Big Three numbers at the Merseycats charity night; the drummer for the get-together was Arty Davies (Faron's Flamingos). The Merseybeats are a band that emerged from the Liverpool Merseybeat scene in the early 1960s, performing at The Cavern Club along with the Beatles, Gerry and the Pacemakers and other similar artists. The Tornados were an English instrumental group of the 1960s that acted as backing group for many of record producer Joe Meek's productions and also for singer Billy Fury. They enjoyed several chart hits in their own right, including the UK and U.S. No. 1 "Telstar", the first U.S. No. 1 single by a British group. The Searchers were an English Merseybeat group who emerged in the 1960s along with The Beatles, The Hollies, The Fourmost, The Merseybeats, The Swinging Blue Jeans, and Gerry and the Pacemakers. 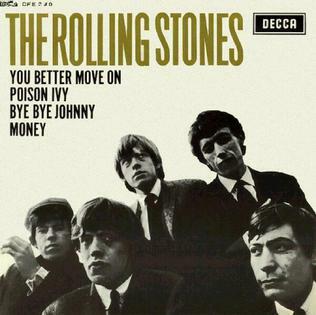 The Rolling Stones is the debut EP released by The Rolling Stones in January 1964. Screaming Lord Sutch and the Savages were a British rock group from the early 1960s, sporting an ever-changing line-up of musicians and a taste for horror themes and zany humour. The group was founded by drummer Carlo Little, who was a friend of David Sutch, better known as Screaming Lord Sutch. Johnny Kidd & the Pirates were an English rock and roll group led by singer/songwriter Johnny Kidd. They scored numerous hit songs from the late 1950s to the early 1960s, including "Shakin' All Over" and "Please Don't Touch", but their musical influence far outshines their chart performance. The Swinging Blue Jeans are a four-piece 1960s British Merseybeat band, best known for their hit singles with the HMV label; "Hippy Hippy Shake", "Good Golly Miss Molly", and "You're No Good", issued in 1964. Subsequent singles released that year and the next made no impression. In 1966, their version of Burt Bacharach and Hal David's "Don't Make Me Over" peaked at no. 31 in the UK Singles Chart, but the group never charted again. The Remo Four were a 1950s-1960s rock band from Liverpool, England. They were contemporaries of The Beatles, and later had the same manager, Brian Epstein. Its members were Colin Manley, Phil Rogers, Don Andrew, and Roy Dyke (drums). Andrew and Manley were in the same class at school as Paul McCartney. "Cotton Fields" is a song written by American blues musician Huddie Ledbetter, better known as Lead Belly, who made the first recording of the song in 1940. The Undertakers are a British beat group, contemporaries of the Beatles and a leading group in the Merseybeat music scene of the early 1960s. They stopped performing in 2018, losing many of the original line-up members. The Royale Monarchs were a Southern California surf band of the late 1960s, signed by radio personality Bob Eubanks as house band at his Cinnamon Cinder night clubs, regulars on his Hollywood Dance Time and The Cinnamon Cinder television shows. "Memphis, Tennessee", sometimes shortened to "Memphis", is a song by Chuck Berry, first released in 1959. In the UK, the song charted at #6 in 1963; at the same time Decca Records issued a cover version in the UK by Dave Berry and the Cruisers, which also became a UK Top 20 hit single. Johnny Rivers's version of the song was a number two US hit in 1964. John Frederick Gustafson was an English bass guitar player and singer, who had a lengthy recording and live performance career. During his career, he was a member of the bands The Big Three, Ian Gillan Band, Roxy Music and his own group, Quatermass, among others. Lee Curtis and the All-Stars were a British beat group from Liverpool, who were contemporaries and (briefly) local rivals of the Beatles in the early 1960s. Led by Pete Flannery, who used the stage name Lee Curtis, other group members included Pete Best and Wayne Bickerton. Skinny Minnie is a 1958 song co-written and recorded by Bill Haley and his Comets. The song was released as a Decca single which became a Top 40 chart hit in the U.S. The Dennisons were an English Merseybeat band, that emerged from the Liverpool scene in the early 1960s. Despite their background, and a couple of minor hit singles, they failed to achieve more than a local following and were unable to find a footing on the British Invasion. However, in 1963, Bob Wooler stated that "The Dennisons have created the biggest impact in Liverpool since the Beatles". The band's drummer, Clive Hornby, later became the actor best known for portraying Jack Sugden in British soap opera Emmerdale. At the Cavern was a live extended play 45 rpm record released in 1963 by The Big Three. It was released on Decca Records as DFE 8552 in mono and reached #6 in the UK EP charts in December 1963. ↑ Ceriotti, Bruno (7 July 2011). "The British Sound: The Big Three Family Tree - Shows List". Thebritishsound.blogspot.com. Retrieved 2012-05-03. ↑ "Big Three, The – Resurrection". Discogs.com. Retrieved 2014-07-14. ↑ Roberts, David (2006). British Hit Singles & Albums (19th ed.). London: Guinness World Records Limited. p. 57. ISBN 1-904994-10-5.